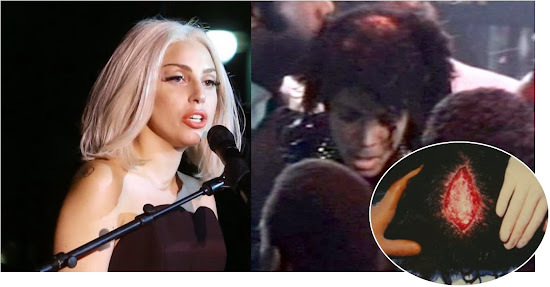 LADY Gaga is battling Michael Jackson’s estate to buy the medical records documenting his Pepsi ad hair-fire injuries. Lady Gaga has upped her weird-factor and entered a £1.25 million bidding war on an eight-page medical report on Michael Jackson's freak hair-fire accident in the eighties. The Lady - who admits being an Jackophille and occasionally wearing his clothing in the studio (who are we to judge?) - is in the midst of a fierce battle with Jacko's estate over who gets to buy the precious relic and the graphic photos of the inside of his scalp that are contained within it. Gross. The King of Pop was filming a Pepsi TV commercial in 1984 when, on the sixth take, in a special effects disaster, a firework display erupted and showered him in sparks, setting light to his hair. Check out footage from the awful accident below. After being extinguished by his brothers and stage hands, the megastar was rushed to the Brotman Medical Center in Culver City, LA, where he was treated for second degree burns to his scalp. Youch. The Thriller star later blamed the traumatic experience and painful injury for starting his drug addiction which eventually led to his death in 2008 from a Propofol overdose. Flatsigned boss Tim Miller believes the files will sell for £1.25 million but it seems Lady Gaga is determined to keep her Poker Face. "Lady Gaga's attorney and ours have been dealing with each other and she's very much in the frame," he said. Gaga, 27, who calls herself Mother Monster, last year admitted spending nearly one MILLION dollars on 55 items of Michael Jackson memorabilia , including his studded leather Bad jacket and his sparkly white glove. Commenting on her spends, the fame monster tweeted: "The 55 pieces I collected today will be archived & expertly cared for in the spirit & love of Michael Jackson, his bravery, & fans worldwide." A source revealed Gaga had plans to open up a gallery or fashion museum where she could showcase what she'd bought. Maybe, if Gaga wins the file, she'll display the freaky photos and MJ's records there too.